Easter is right around the corner and we all know what that means, a great opportunity to ruin your summer diet in the name of festivities. However, there is another reason to get egg-cited for Easter this year as you can now buy a chocolate Easter egg with a bottle of gin inside of it! Manchester bakery and chocolatier Slattery have teamed up with Zymurgorium brewery to create the Easter egg we have all be waiting for. 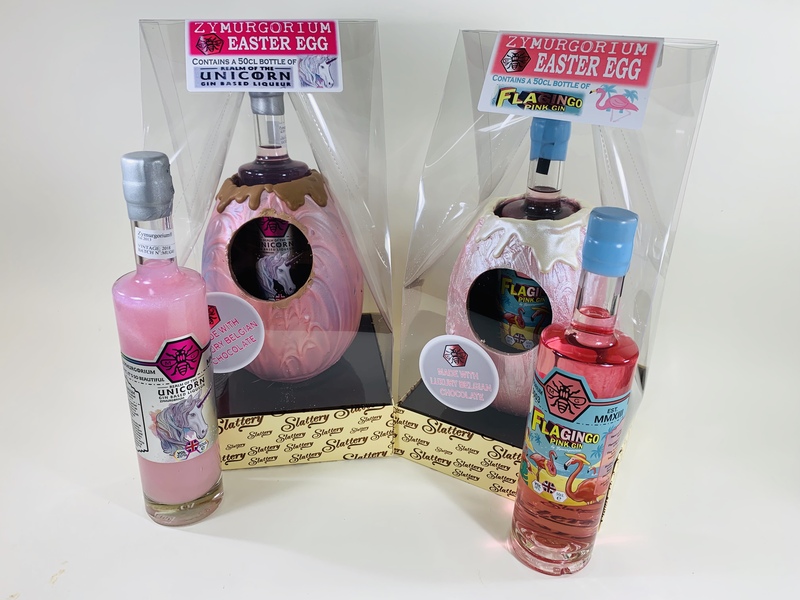 The two companies are offering their customers the chance to buy two limited edition Easter eggs, each containing a different type of flavoured gin. The full-size 50cl bottles come in two flavours; ‘Realm of the Unicorn’ gin, which tastes like toasted marshmallow and ‘FlaGINgo’ their new pink gin, flavoured with mango, passionfruit, pineapple, and ginger. Both types of gin are sold inside a milk chocolate shell, covered in white chocolate and strawberry-flavoured chocolate. They come with a hefty price tag, setting you back £49 for the unicorn egg and £59 for the flamingo pink gin. The eggs are only being sold in Manchester, at Selfridges in Exchange Square and in Trafford, as well as the Slattery store on Bury New Road. They can also be pre-ordered over the phone via 01617 679303.